Very often my patients who have suffered with rosacea for number of years will be distressed at the persistent redness that plagues their noses and cheeks. It is not uncommon for them to have unwelcoming comments and many will have been subjected to perception bias related to excess alcohol intake. Now we know that having a red nose has nothing to do with alcoholism. 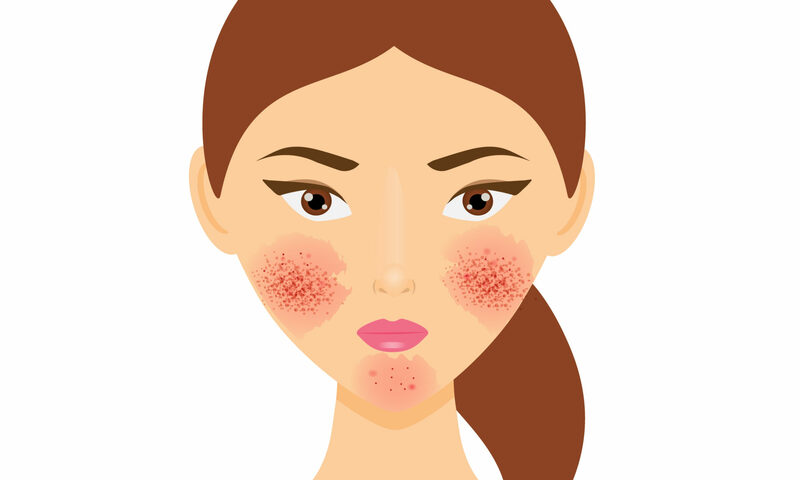 Most commonly it is rosacea that gives that persistent redness to faces and noses. My patients will have had some antibiotics which would have been helpful for the spots of rosacea- the papules and pustules of the so called ‘papulopustular rocasea’. But the redness is unlikely to respond to this measure alone. This is where lasers are very effective. I use the pulsed dye (PDL) and KTP lasers to treat facial and nose redness. The old(er) generation PDL’s caused bruising lasting a week to 10 days and whilst very effective the downtime was unacceptable by most patients. Now we have a choice of non bruising treatments which enables patients to go back to work next day without any tell-tale signs of laser treatment. In my experience this is a very effective technique and has been quite popular with my professional patients who lead busy working lives. Some patients will have ‘telangiectases’ or red blood vessels which can be very effectively targeted without bruising the skin. This is achieved using the KTP laser. I particularly like this laser and combine it with the PDL for patients who may have both background redness and broken capillaries. Both laser treatments are surprisingly very well tolerated in the absence of any anaesthesia. I recommend 2 paracetamol tablets 30 mins before laser treatments and 2 tablets 4-6 hours later. This helps reduce the swelling which may be more obvious with the non bruising PDL session. Ice packs or ‘frozen peas’ may be also useful in this context. Another important recommendation is to avoid sun exposure during the course of treatments. Any tan is likely to result in complications and an astute practitioner will defer laser treatments till the tan has resolved. Patients may require 3-6 treatments spaced at 4-6 week intervals. So this Red Nose Day- by all means participate in charity events but remember that help is at hand and every day of the year doesn’t have to be a Red Nose day. All the best.